It's official: Summer has arrived here in Texas. Staying cool is high on my list of priorities to deal with the heat. One of my favorite breakfasts during Summer is a smoothie. Talk about a win-win situation: smoothies are quick to make, cool, and refreshing -- and they're a great way to pack a lot of nutrition into my busy mornings! For this month's Stonyfield Clean Plate Club event, we're partnering with Skoop All-in-One Nutrition Mix to create yummy, protein-rich smoothie recipes that also include Stonyfield organic yogurt for an extra protein punch. 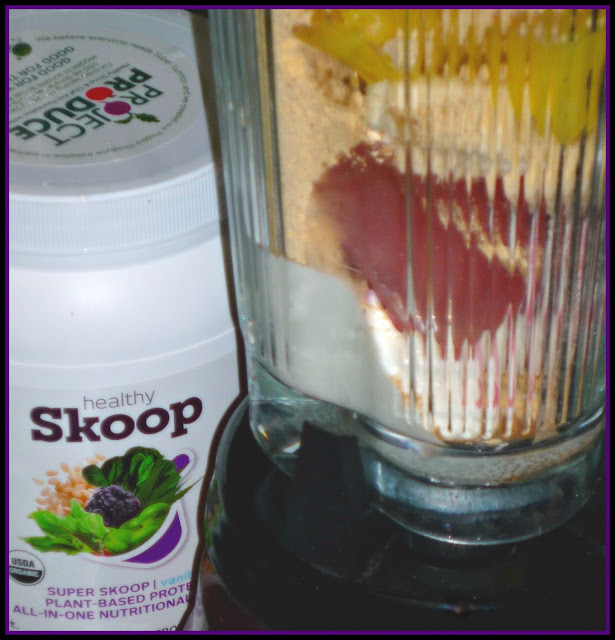 Healthy Skoop isn't like most protein-based powders I've tried -- it tastes great and isn't gritty or chalky at all. Even better, it contains tons of health benefits! Every serving contains 20 grams of organic plant-based protein, Omega 3 fatty acids, 5o% of your recommended daily intake of vitamins and minerals, and a whopping 1 billion (!!) probiotic organisms. Healthy Skoop comes in both vanilla and chocolate varieties. I opted to give the vanilla flavor a try to create my delicious Protein-Packed Tropical Smoothies. 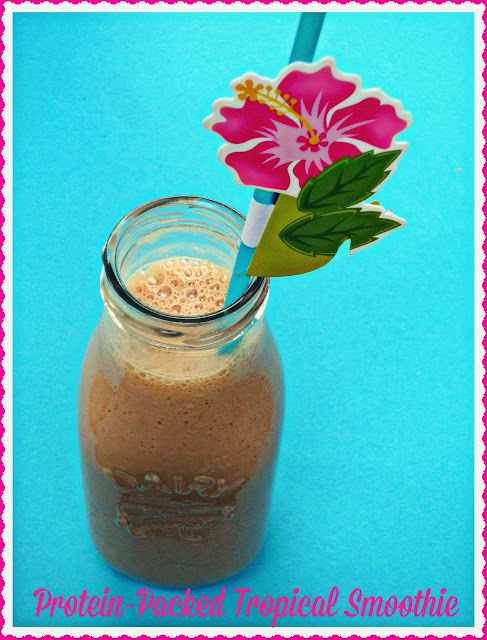 This smoothie is like a tropical vacation in a glass! 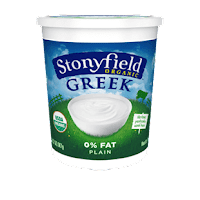 Healthy Skoop and Stonyfield 0% Fat Greek Yogurt provide protein and other vital nutrients...while bananas, coconut water, pomegranate juice, and pineapple provide natural sweetness and the tropical flavors that I love. My recipe makes two 12-ounce smoothies. Because I like my smoothies icy, I froze some of the ingredients overnight. Be sure to take that into account if you decide to give them a try. In fact, I keep ice cubes made from some of this smoothie's ingredients in a freezer-safe plastic bag at all times so I can make this smoothie in minutes -- even on the busiest of mornings! 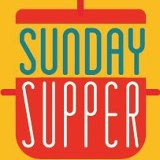 Step 1: The night before you plan to make the smoothies, pour the coconut water and pomegranate juice into an ice tray. Freeze overnight. You can skip this step if you prefer your smoothie to be less icy and more thin. Step 2: Add the Stonyfield 0% Greek Yogurt, skim milk, three (3) pomegranate ice cubes, three (3) coconut water ice cubes, Healthy Skoop vanilla nutritional powder, banana, pineapple, and honey/maple syrup into a blender. 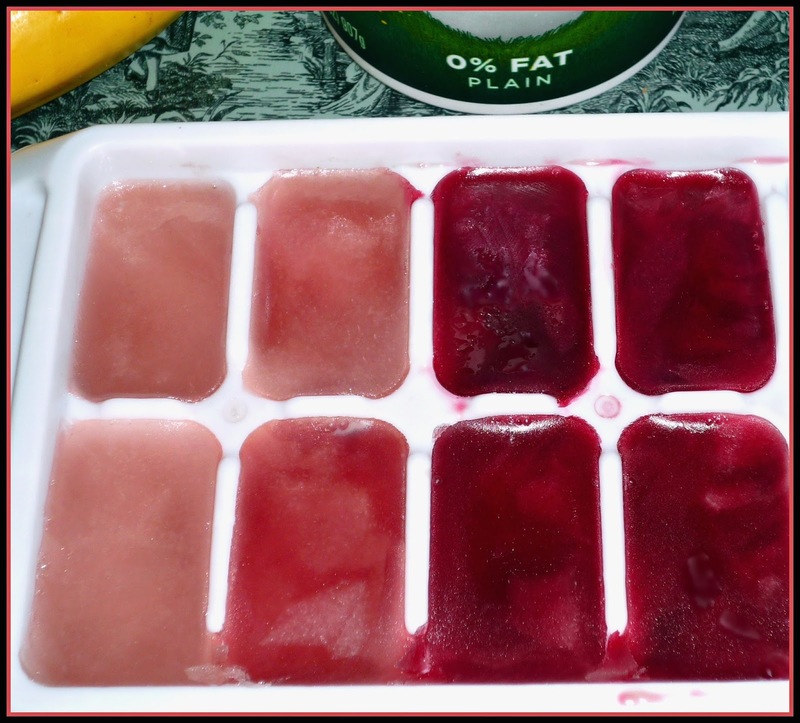 Blend until completely combined and the ice cubes are completely broken up. Pour into a glass and garnish with a fun straw! 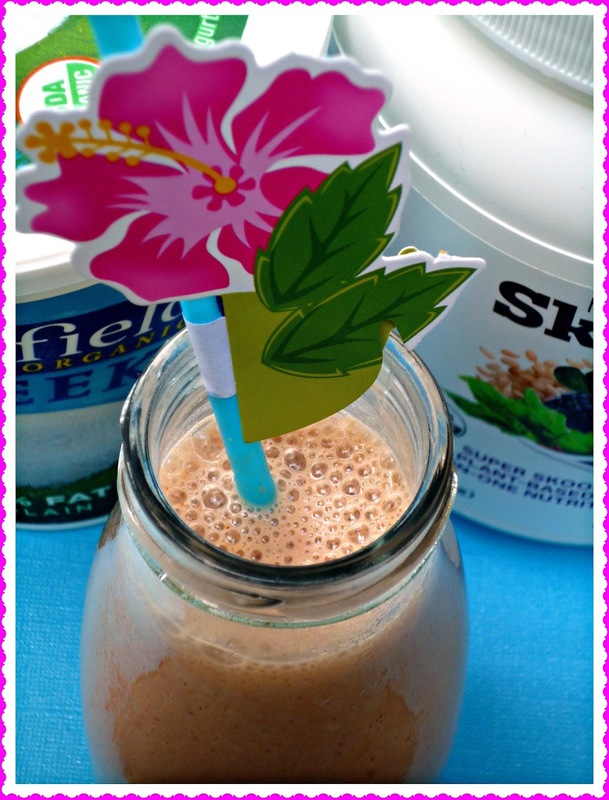 This yummy, fruity smoothie keeps me completely satisfied and energized all morning long -- whether I'm at work or out and about running errands! The flavor profile is fruit forward, with a subtle vanilla and coconut flavor in the background. Ripe bananas provide sweetness, and the pomegranate and pineapple pack a tart punch. 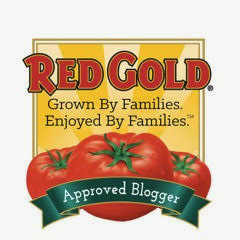 Great taste and healthy too! 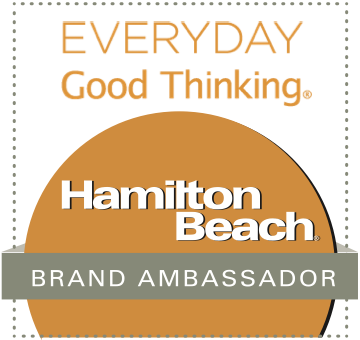 I also support Healthy Skoop's amazing Buy One Get One mission: for every serving of Healthy Skoop sold, the company donates one serving of fresh fruits and veggies to a school lunch program in America. That just makes me love this company even more! 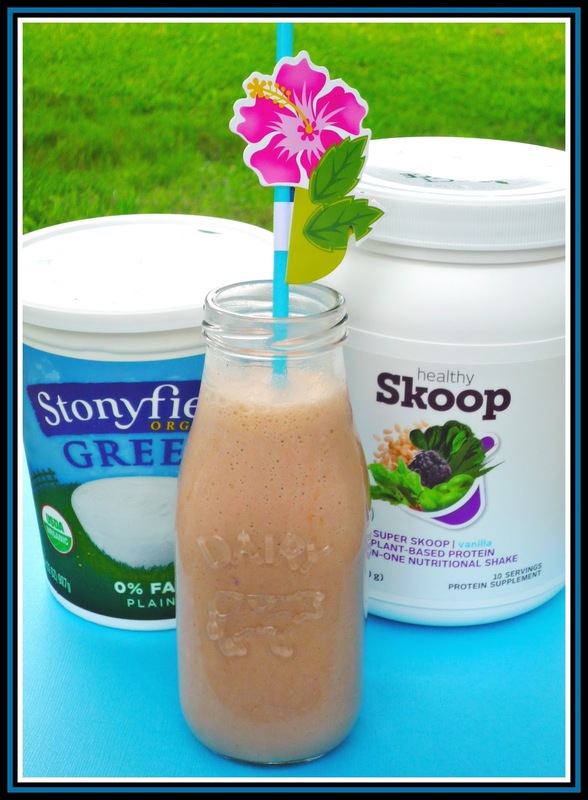 To purchase Healthy Skoop to try in your smoothies this Summer, visit their online store. 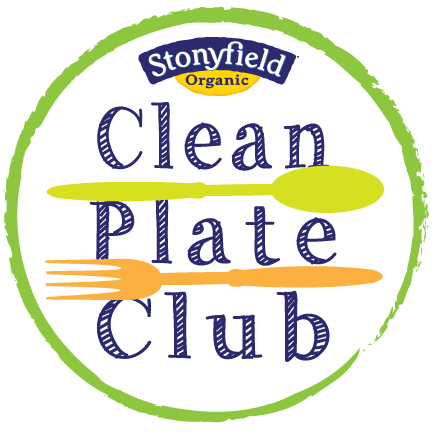 Disclosure: This is a compensated post for the Stonyfield Clean Plate Club. I also received a tub of Healthy Skoop and Stonyfield yogurt to facilitate this post. All opinions expressed about these products are solely my own.